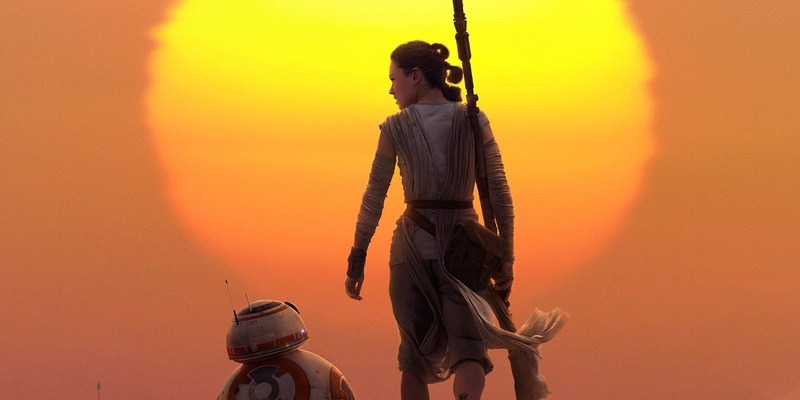 Star Wars: The Force Awakens will reportedly open in just about every IMAX screen worldwide and will stay there for the first four weeks of its run. One sequence in the film was shot in IMAX, so it's sure to be an amazing sight to behold. I have to say I love this poster. It's great to see Rey front and center. It shows that they're not hiding the fact that the film has a female lead, which sends a strong message from Lucasfilm and Disney. Plus it's such a striking visual. What do you think of the poster? Let us know in the comments! 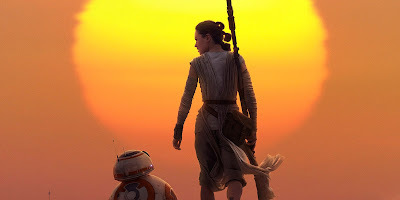 Keep your feminism out of Star Wars. She's the "lead" - not the "female lead". If being able to have a woman as lead is supposed to be normal and accepted, then there's no reason to even mention it. Luke is evil! Luke is a Sith Lord! stop responding and drawing light to it, guys. feminism as a device works both ways. it's like trolling; nobody questions the intention of the initial provocation... but responding to it gives it life and momentum. if you don't want to be trolled, stop giving it attention. I don't mean to draw light to it, it just stinks of it. It's not a positive device and shouldn't be used in film to further people's (Kathleen Kennedy's) agenda. I realise they maybe spinning this for profit but it is still disheartening to me. Im just voicing my frustration. 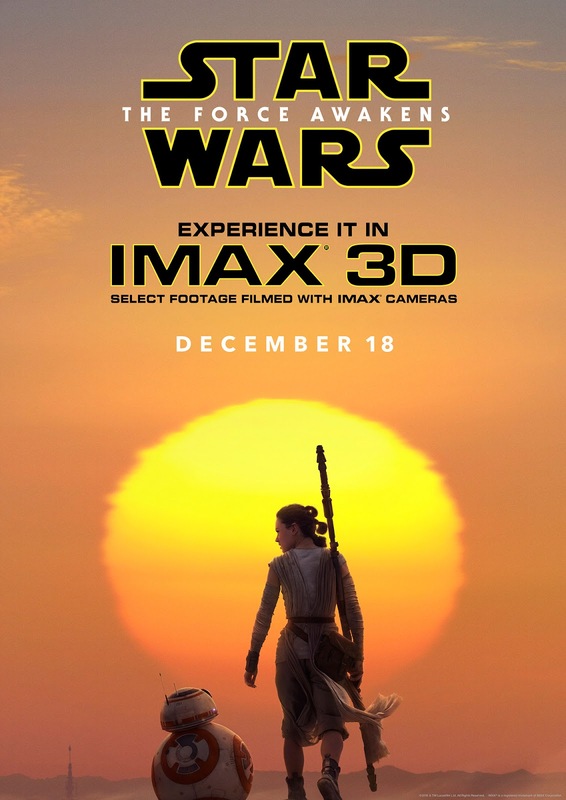 When only one sequence was shot in Imax, is it then still a good idea to go to the Imax theatre? David, I get where you're coming from and believe me, I agree that I don't want the agenda thrown in my face either but I'm also choosing to ignore it and carry on with my SW fanboyism because I frankly don't care if the leads are male, female, white, black, green, tall, short, fat, skinny, athletic or made of metal. As long as the story is engaging and their characters robust, I'm good. All I'm saying is that if more of us simply ignored it rather than drawing attention to it, we could render KK's trolling of us (because that's what it essentially is with all the clever interviews with Fisher and Ridley and the whole story about phasing out Slave Leia, etc) ineffective. If Rey turns out to be a failure of a character then we can criticize their choice of the character without it being an issue of her being a woman. I understand W.Hawatky, I only hope this subject matter is not injected into the film. At the end of the day I just want to enjoy it. Peace out. furthermore, as in the UK anyways, there is NO 70mm film prints being shown (boo) how will they (the digital imax cinemas) show the full height IMAX frame for that scene...??? where 70mm imax is 1.44 to1. so seeing the imax shot scene in 1.9ratio will give you aprox 25% more picture info over the 2.35ratio version.